Today we celebrate the two-year anniversary of the landmark health reform legislation that is already bringing relief to millions of Americans and Los Angeles County residents. The legislation is already helping millions of Americans, and here’s how: young Americans, the most likely to be uninsured, can now stay on their parents’ plan until age 26. Consumers can now get vital preventive services like cancer screenings, vaccinations, wellness visits, blood pressure and cholesterol tests and contraception without paying out of pocket costs. Importantly, this legislation makes insurance companies play by the rules. Insurers can no longer refuse to cover children with medical conditions or retroactively cancel coverage if families make a paperwork mistake. Insurance companies can no longer pass on administrative costs. Furthermore, the Affordable Care Act expands access to doctors and services. Millions of small businesses will be eligible for billions of dollars in health care premiums and tax credits. Hard working families will be eligible for subsidies that enable them to buy coverage. Here in California, about 3.4 million people who would otherwise be without health insurance will have coverage by 2016. Reform will have a $12.6B positive impact on California households alone through increased wages, higher subsidies and reduce outpatient costs. Closer to home, families living in L.A. County have more at stake than other California residents. Roughly half of California’s uninsured residents who would gain health coverage under the Affordable Care Act live in LA County. 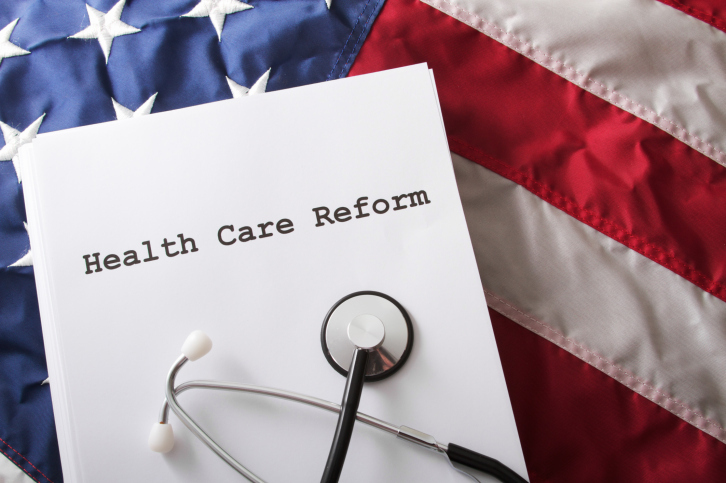 The benefits of federal health reform extend beyond health benefit coverage. They include dollars for prevention and construction of health care facilities. LA County also received the second largest Federal Communities Putting Prevention to Work grant in the nation under ARRA for obesity prevention. 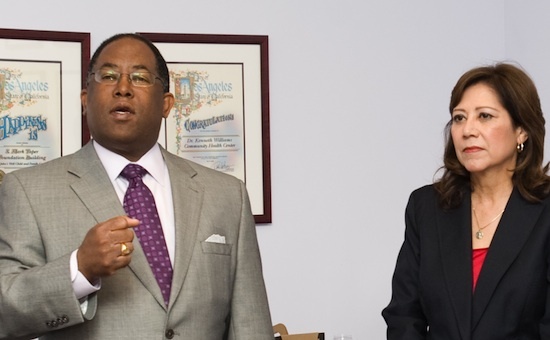 This investment is known as the RENEW program in LA County. This last fall, LA County received the second largest Community Transformation Grant in the nation to build upon RENEW’s successes. These RENEW investments have helped LA County communities like South LA improve nutrition programs, promote physical activity, enact polices which promote healthy food options, and educate the public about healthy foods and living. President Obama’s health care reform law provided for major construction and renovation projects at community health centers in South LA and nationwide so they can deliver more preventive and primary care services. St. John’s is one of these competitive grant winners. The Obama administration awarded a $20M grant to the County which made the completion of the MLK Center for Public Health possible. The new center provides important public health services and is a locus of community engagement around healthy living. You are all sitting in the heart of a community buoyed and lifted by health reform’s promise. The federal legislation is fueling our steady progress to transform the Martin Luther King Jr. Medical Center campus into a center of hope and excellence for health care delivery, a medical home for the underserved, urban health promotion, health workforce development research and teaching and economic development. The grand opening of the federally funded MLK Center for Public Health last October marked the first major milestone of a renaissance occurring on that campus. The expanded benefits through health reform will ensure the financial viability of the next two phases – a new inpatient tower and a new ambulatory care center. The public investment of nearly $800 million in health-related construction projects in the Second District has created approximately 8,370 new jobs—4,600 of them at MLK alone. Inspired by the Secretary’s leadership, we are making sure these jobs go to our communities. Nearly 4 out of every 10 of the constructions jobs are going to residents who live within 5 miles of MLK. The Congressional budget office estimated the repeal of federal health reform would increase the federal deficit by another $230 Billion dollars over ten years. Health reform saves lives, it saves money and it saves hope. To all who would repeal health reform and say it is not needed, I challenge you to come to the campus of MLK. Come shake the hands of the young men and women who are working on build a new vision for this campus. Come tell them that insurance companies should be able to take away their health benefits even if they work hard and play by the rules. Come tell the patients who will be seeking care under the MLK roofs raised by these workers that affordable coverage is not needed to keep them healthy and working and strong. Come tell the doctors and nurses working there that nothing needs to change to keep their patients healthier. President Obama’s federal health reform law has brought the promise of better health to real people. We must not go backwards and surrender any ground.